Save an Animal is a 501 c3 non profit organization. We are based on Maui Hawaii but with your help, helping animals all over! Our Vision is to see a world where no animals suffer by a humans intent or ignorance. Where healthy and/or treatable animals aren't killed at our local shelters.... Where all animals can live a full life for their own reason. Our mission is to help as many animals as possible, getting more people involved, wherever they are. 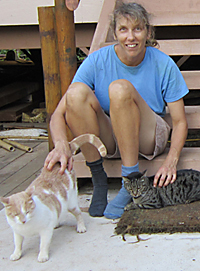 AND by helping as many community cats as possible, with our sanctuary on Maui, TNR and education. We formed SAA for two reasons, FIRST, because we have been working for years, helping hundreds of community cats, out of our own pockets, yet we are limited to how many we can actually help, while there are so many more that need help... We want to do more, but we need help too. SECOND because, we have learned, over the years, that although most people have good hearts, most are completely oblivious to what goes on around them, even to the animals they say they care about. We believe that if people are made aware of what happens to animals in most shelters, or behind the scenes, and how easy it is to help more animals, that they would. We want to have available a simple, straight forward set of information on what else can be done to help animals, and get that to as many people as possible. If you want to help more animals, please join us. Go to our Help Save An Animal page . Read through the list we have. 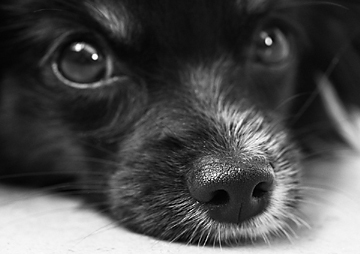 We are sure you will find more ways you can help more animals. Copy it and send it to others too. Help us do even more! Send us donations for specific actions, and we will make sure that money gets delivered and 100% used for that. Help us continue our work for community cats on Maui. Pam loves all animals. She grew up as a "dog person", in Minnesota where her family always had a dog. She studied some veterinarian classes in college and pictured herself as having a dog sanctuary later in life. She lived in Alaska 15 years, as her love of canines turned into a passion for wolves and the wilderness. Later she moved to Maui, where the cats showed up. Although a far cry from wild wolves, on Maui, it is cats that need the most help. Shaun, although mostly a cat person, believes all animals deserve a chance. 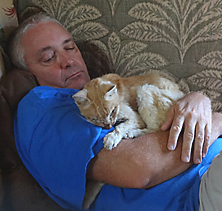 Originally from Kansas, he moved to Maui and does all he can to help all animals, from cats to birds.... He cannot turn away any animal in need. Jean has a long history of loving and helping animals. Several cats and dogs are usually found in her house, at any given time. She strongly believes in adopting from animal shelters to save an animal from euthanasia, because they are more devoted to their new owners and deserve a chance at a second life. 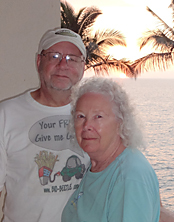 Jean and her husband Dennis have been coming to Maui for years, and always help out at the sanctuary. PLEASE, help Save An Animal.